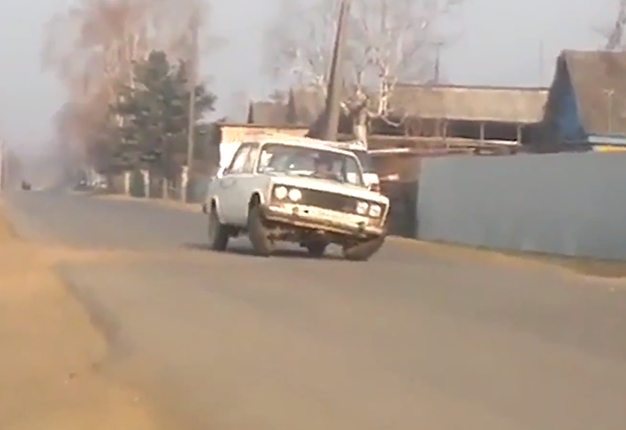 Its not a rarity to see a car bouncing up and down with the use of hydraulic systems but the car captured in the video above takes things to a new level. As the car makes its way down the road, it becomes clear that its front axle is destroyed with the wheels pointing in opposite directions. Its unclear where the video was captured but the driver is putting on a show for the people filming it with background music making the car dance to a tune. While it is definitely worth a chuckle, having to replace the axle won't be a joke.